Take a picturesque 70 mile journey along the Norfolk Coast Path from ‘Sunny Hunny’ to the golden sandy beaches at Hembsy. Watch my video tour below and discover how this beautiful Norfolk coastline dramatically changes as we move from west to east. From the amazing coloured layered cliffs at Hunstanton to Marram Grass filled sand-dunes at Holkham with miles of shell filled beaches. 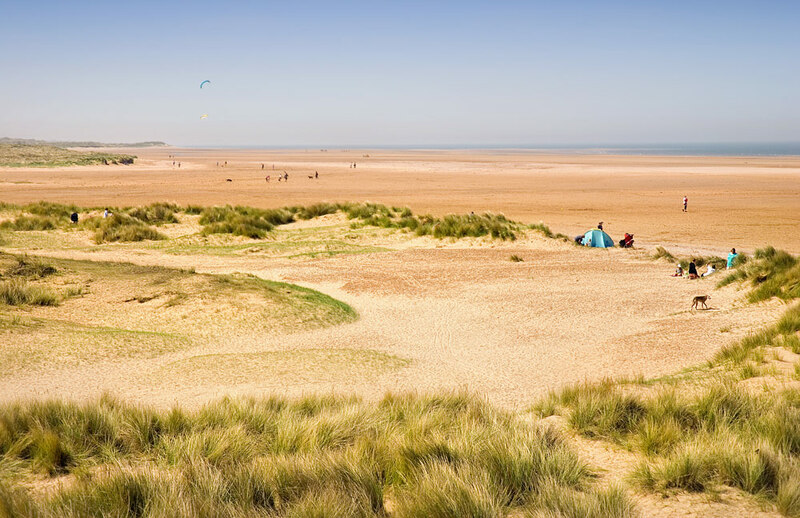 Salt marshes and meandering creeks take prominence from Brancaster to Blakeney – areas of outstanding natural beauty! Cliffs re-emerge at the pebbled filled beach at Weybourne and continue around the North East corner protecting this vulnerable part of the Norfolk coastline from the North Sea until they merge again with sand dunes and gorgeous beaches at Sea Palling and Hemsby. Also along the route we visit popular tourist spots like Blakeney Quay and the beach huts at Wells next the Sea. We take in views of Sheringham and West Runton from Beeston Bump and marvel at the elegant Cromer Pier. This photographic slideshow tour of the Norfolk coast has been created by published professional photographer Daniel Tink.